Rick Culper left Earth in the hopes of finding a job as a merc. 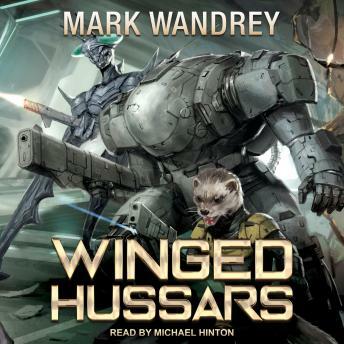 A natural at fighting in the armed suits known as CASPers, he finally caught on with one of the premier Four Horsemen companies, but it's with the Winged Hussars, and the company's prospects are beginning to look bleak. Traps have been laid throughout a number of systems, and Commander Alexis Cromwell and her flagship, Pegasus, will be hard-pressed to make it back to their secret base. Even with Rick's help, the situation is much worse than anyone in the Hussars could have imagined. The Four Horsemen are being hunted, and the Hussars's future is dark. But there's one thing Alexis's enemies didn't count on-Alexis Cromwell is nobody's prey.